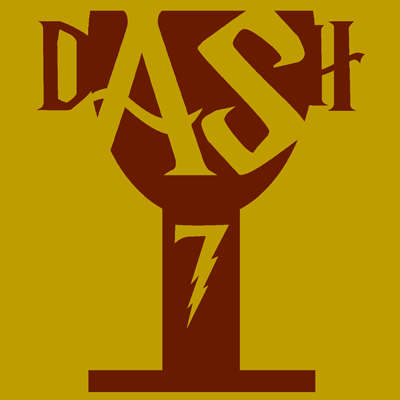 DASH is a day-long walking team puzzle solving event, held simultaneously in multiple cities (and countries!). If you'd like to know more about the event or the types of puzzles you might encounter, check out the DASH FAQ. DASH 7 will start at 10am on May 30th. The route is not quite finalized; updates will be posted once it is. However, we do know that the event will take 4-7 hours and about 3 miles of walking. DASH is a team event; puzzles are best with friends! Suggested team size is 3-5, but if you really, really, want to have a different number, send us an email at [email protected] and we'll work something out. Likewise if you don't have a team, or friends you can talk into joining you, send us an email and we'll try to match you up. Puzzling locations are almost entirely in lovely outdoor spaces... which means that weather is always a question. Frequently the weather is very nice in May, but on the other hand, this year it seems almost plausible that it could snow. Many of the locations have some shelter, but if it rains for sure you will get wet at least walking between locations. Keep an eye on the weather and dress accordingly! DASH is primarily a fun event. Puzzles are timed (but not the walking between them), and there will be an international scoreboard, but the goal is really to enjoy solving puzzles. New: For those new to puzzle hunts. If you haven't participated in puzzlehunts or solved puzzles more complex than crosswords or sudoku, this is for you. Expert: If you have participated in past DASHes, BAPHL, the MIT Mystery Hunt or other puzzle events, well, odds are you already know if you're a seasoned puzzler or not. This level is probably for you. DASH 7 will cost $40 per team, to cover puzzle production, permits, and incidentals. To register, go here (or use the link below). The FAQ includes a list of suggested puzzling supplies. In addition, you will need at least one Android or iOS smartphone for your team. Drop us a line at [email protected] !